The sixth Tokyo International Conference on African Development (TICAD VI) will be held in Nairobi on Aug. 27 and 28, where political and business leaders from around the world will discuss various issues facing the continent. Over the past 23 years since TICAD I was held in Tokyo, the conference has evolved into a new phase as the African economy has grown rapidly during this time. Still, Africa faces challenges such as income disparity and political instability. 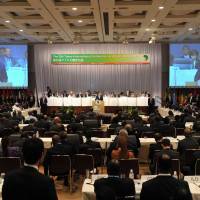 TICAD VI is the first TICAD meeting to be held outside Japan. Ahead of the conference, The Japan Times organized a symposium to discuss TICAD, the situation in Africa and Japan-Africa relations, at the Tokyo headquarters of The Japan Times on June 3. Participating in the forum were Estifanos Afeworki, ambassador of Eritrea and the dean of the African Diplomatic Corps; Solomon Karanja Maina, ambassador of Kenya, the host country of TICAD VI; Francois Oubida, ambassador of Burkina Faso and the chairman of the ADC TICAD Committee; Seiji Okada, deputy director-general, African Affairs Department, the Ministry of Foreign Affairs; Jin Montesano, executive officer and senior managing director, Public Relations and Corporate Responsibility, Lixil Group Corp.; and Atsuko Hirooka, executive officer, Environmental Health Division, Animal Nutrition Division, Sumitomo Chemical Co. 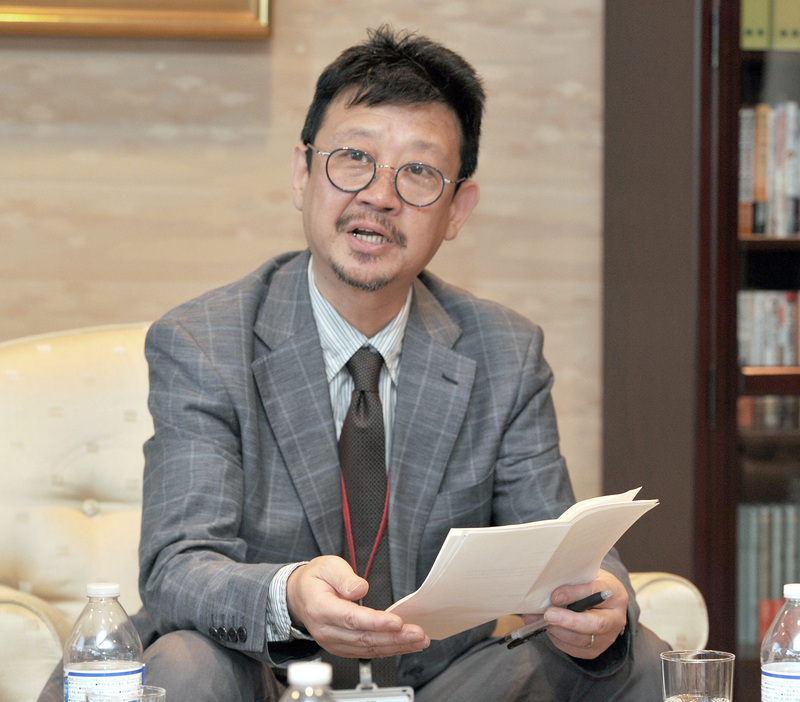 The moderator was Takashi Kitazume, chief editorial writer for The Japan Times. Moderator: Thank you everyone for joining The Japan Times forum on TICAD VI, to be held in Kenya in August. The purpose of this round-table discussion is to generate readers’ interest in the latest TICAD, which has been hosted in Japan since 1993 and will be held for the first time in Africa, by providing hands-on perspective from the parties involved. How has the role and significance of the TICAD evolved over the years? What will be the significance of the meeting being held in Africa? Maina: Let me first say it’s a pleasure to be invited to this important dialog session. The forming of TICAD 23 years ago, a prudent step taken by Japan, came amid world fatigue of African issues, so-called “donor fatigue,” following the end of Cold War. And by TICAD II, the meeting was becoming a multilateral platform bringing key agents on board. By the time of TICAD III, a Tokyo Agenda for Africa was agreed upon and we set a plan on African development over five years. Five years is rather long, but we had to start it, given the fact since there are so many aspects of African development. In TICAD IV, which was held in Yokohama, the focus was engagement of the private sector into African development. We looked more into the issue of industrialization, while the issues of improving governance and democratization became apparent. All in all, there was a general consensus that Africa was the next frontier as countries such as Brazil, Russia, India, and China (BRICS) were shining in a different platform. But the African continent was slowly moving on. At TICAD V, also in Yokohama, a defining moment came as heads of state came to realize that Africa had to be considered as an equal partner. This was very important and the decision that TICAD VI would be held in Africa was very significant in two aspects. The first aspect is about partnership. 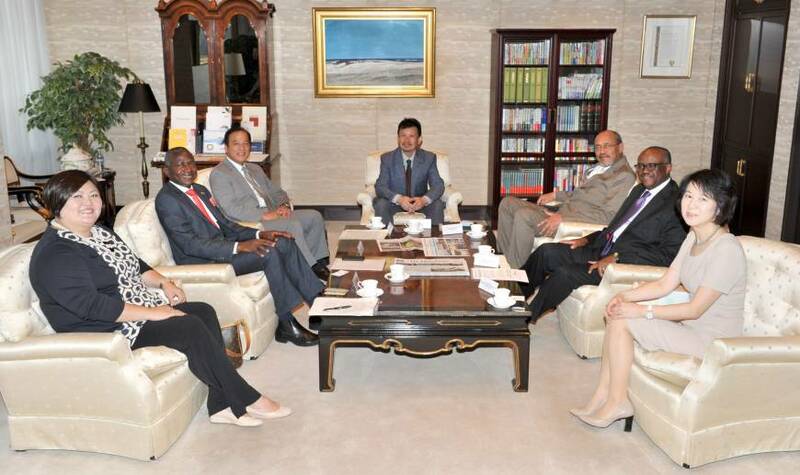 Africa and Japan are partners working together under one platform. We are moving away from official development assistance (ODA) and instead encouraging the private sector’s participation for economic development. The second aspect is ownership. We are glad that many Japanese companies have already registered to participate in TICAD VI in Nairobi. Three Banks — Sumitomo Mitsui Banking Corp., Mizuho Bank and Bank of Tokyo-Mitsubishi UFJ — will also be in Nairobi for this important Summit. Moderator: How does Japan see the evolution of TICAD? Okada: First of all, I thank you for organizing this round-table session. I think it’s very important to let people know what TICAD is about and what we are thinking about. TICAD started in 1993. At that time it was Japan’s commitment to discuss how Japan should work with Africa because the African continent is an important region. That’s why we began TICAD to discuss plans and the long-term strategy of African development. 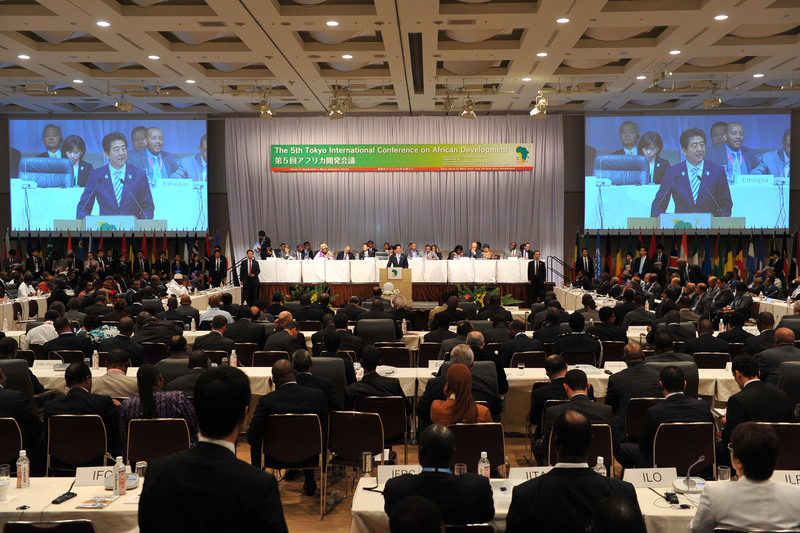 At TICAD IV, which was held in 2008, I was the director of the African Development Division and in charge of organizing TICAD IV in Yokohama. And as Ambassador Maina said, I saw the change in the focus of the agenda. At TICAD II, the focus was how to allocate ODA to each country, but throughout preparatory meetings of TICAD IV in Africa, I heard many voices from African countries saying that for real economic development, private sector involvement is important. Indeed, private sector investment is very important and the focus on it seen at TICAD V will continue at TICAD VI. It’s the right path to work with the private sector and many stakeholders rather than just governments. One of the most important things about TICAD is the TICAD process. TICAD is not a one-time commitment and a follow-up mechanism is important. The mechanism takes a three-tiered approach of a joint secretariat, a joint monitoring system and follow-up administration meetings. This continuing process allows us to check what progress has been made. TICAD VI is taking place just three years after TICAD V, but it’s a very significant meeting. It’s the first one held in Africa and African ownership and international partnership are two important pillars of TICAD. I just hope that the meeting in Nairobi will be successful. Of course we continue to talk about past commitments, but since TICAD V, there have been a couple of new emerging issues such as dropping commodity prices, health issues such as Ebola and other diseases and instability in society. We have to discuss how to tackle these issues in the coming meeting. Moderator: How does Africa tackle issues included in Agenda 2063 such as diversification of industries, reducing reliance on natural resources, human resource development, antiterrorism measures and improvement in health hygiene conditions? Afeworki: To tackle those important issues, Africa needs to be first and foremost developed and become stronger economically. But let me first say, what can Africa offer in return for the cooperation it gets from the outside world — especially from Japan’s private sector investment. First, Africa is a very strategically located continent, with access from the Mediterranean Sea to Europe, the Indian Ocean to Asia and Australia, the Red Sea to the Middle East and the Atlantic Ocean to the Americas. This continent can continue to offer opportunities for any economy, especially Japan, to step into the market of the above-mentioned regions and the fast-growing economy of the continent itself. Second, Africa is endowed with abundant resources such as oil, gas, rare metals, precious metals, base metals, construction materials and industrial chemicals, offering the possibility for Japan to be a good partner both upstream and downstream. Third, Africa has huge untapped agricultural, marine and biodiversity resources that have a cardinal role in many development areas of mutual interest. The main challenge in most African countries is how to develop and enhance the rule of law. The question of how to train police, improve the legal and justice systems, capacity building in governance and other issues remain a challenge. Japan can share its huge technology-supported experiences on these and other related issues with our countries. Education is also another high-value asset of Japanese soft power that can be shared with our African countries. Africa is also facing new health challenges especially from threats of continued epidemics caused by the migration of unknown virus, bacteria, fungi and protozoan microorganisms to human beings from wild plants and animals and their habitats. Ebola virus is one example. As a result of these phenomenon, human security is seriously being threatened globally. Therefore, it is imperative at this time that research cooperation between higher education institutions of Africa and Japan be developed. Capacity building of the health sector is also a priority for cooperation in the African Agenda. Japan has a lot of successful experiences in this area of cooperation within Asia which can be replicated and exported to African countries. Agenda 2063 focuses on the integration and economic empowerment of the continent. Sustainable development goals and national development goals of all African countries are naturally the basis for cooperation through the TICAD process. As an example, Sumitomo Chemical Co. has developed a long-lasting insecticidal net to both repel and kill mosquitoes, contributing to malaria eradication in many of our countries. I strongly believe, there are many more areas of cooperation and various opportunities for a win-win situation between Japan and Africa. Oubida: Africa came up with Agenda 2063 in 2013, the 50th anniversary year of the African Union, creating a vision of “the Africa we want” in 50 years. Agenda 2063 has seven targets. These are a prosperous Africa based on inclusive growth and sustainable development; an integrated continent, politically united and based on the ideals of Pan-Africanism and the vision of Africa’s Renaissance and an Africa of good governance, democracy, respect for human rights, justice and the rule of law. The remaining targets are a peaceful and secure Africa; an Africa with a strong cultural identity, common heritage, shared values and ethics, a continent whose development is people-driven, relying on the potential of African people, especially its women and youth, and caring for children; and a continent that is a strong, united and influential global player and partner. For the future, Africa will continue to focus on health, governance, education and peace. Over the past couple of decades, the peace situation in Africa has generally improved and we have prepared our environment for economic development. Thanks to activities within the African Union, we have put into place a peace structure where we have built security. If conflicts take place somewhere, we have enough resources and experience to calm the situation. On health issues, in 2006 we adopted the Maputo Plan of Action, which is intended to curb maternal death in Africa and focus on delivering quality and affordable health services to promote safe motherhood, child survival and maternal, newborn and child health. Without an improvement in the health of babies, children and mothers, we cannot have a healthy society. The vision of CARMMA is to build on existing efforts to improve maternal, newborn and child health across Africa — particularly by sharing best practices and generating and sharing data on maternal, newborn and children’s health. In education, Africa has many universities partnered with foreign institutions and sends many students overseas. They learn and bring back their experience to their home countries. 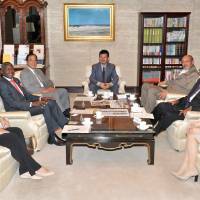 Japan is among the best such partners and students serve as bridges between Africa and Japan. Moderator: Everybody said private sector involvement is important. I would like to turn to representatives from two Japanese companies in attendance, Lixil Group Corp. and Sumitomo Chemical Co., to speak about their activities in Africa contributing to improving the health and hygiene conditions on the continent. Montesano: Let me first introduce Lixil Group. Lixil is the world’s largest company in sanitary products. Among the most well-known brands are Inax, Grohe and American Standard. We have a presence in 150 countries. We are proud of our water technology, which is the business of moving water through shower heads, faucet systems, bath systems and toilets. One of our most strategic initiatives is specifically improving health and hygiene by helping people gain access to basic sanitation. I was very pleased to hear the ambassadors speak about Agenda 2063 because the state of the world today is that we still have 2.4 billion people without proper basic sanitation. And economic losses due to the lack of sanitation are over $200 billion annually. Today, seven in 10 people are still lacking basic sanitation in the Sub-Saharan African region, and the rate of population growth is outpacing the rate of access to basic sanitation, making the situation even more pressing. So we have a program in which we are developing different prototypes of possible devices and actual products that serve communities requiring basic sanitation. We have a team of R&D researchers in Nairobi prototyping and trying devices that could be useful. We have on the market a product called SaTo Pan, which is short for safe toilet. This is a basic product, selling for as little as $2, depending on the model, and developed in New Jersey. We have sold over 900,000 units, which means 4 million individuals have been impacted. We expect the figure to pass a million units by July. This is a program we are proud of and we are excited about being part of TICAD this year. Our CEO is tremendously committed to activating investment and presence of interest in Africa to support economic development and accelerate sanitation and hygiene. I am also excited to hear from ambassadors how companies like Lixil can contribute to their economies, sanitation and hygiene. Hirooka: Thank you very much. Sumitomo Chemical has contributed to malaria prevention by providing mosquito nets over the last 10 plus years. The product name is Olyset. On WHO’s recommendation in 2001, we decided in 2003 to transfer the technology to an African country. WHO evaluated the net and concluded it is very effective, affordable and easy to use as it just hangs from the ceiling. Then the WHO proposed we transfer the technology to Africa because people are suffering from malaria in Africa. Acumen (New York-based non-profit organization), UNICEF and PSI (non-profit organizations based in Washington D.C.) supported the transfer, and thus we quickly decided to do so. Acumen found the partner, A to Z Textile Mills, in Tanzania, and we sent Japanese engineers to transfer the technology. Four years later, we decided to set up a joint venture, called Vector Health International, because we thought we needed to increase production. Fortunately, we have been able to maintain a long relationship with them for them more than 10 years. Last year, science magazine Nature published an article on various interventions to prevent malaria, including medicine, but mosquito nets account for 68 percent of the reduction, meaning 663 million malaria cases have been reduced. We are very proud of that. Currently, Tanzania factories have 7,000 workers at peak time and production capacity is 29 million nets annually. This is very good when you look at the U.N.’s Millennium Development Goals. Our activities meet the primary purpose of reducing malaria, but at the same time we are decreasing child mortality, improving pregnant women’s health, increasing employment and reducing poverty in Tanzania. Another challenge is to tackle an issue of insecticide-resistant mosquitoes. So we need an R&D center in Africa. Two years ago, we set up a laboratory in Africa, staffed by Tanzanians and Kenyans, and we are exchanging researchers between Japan and Africa. Also two years ago, we established Sumitomo Chemical East Africa office in Tanzania to research agriculture. Because we are a chemical company with an agrochemical division, we are targeting the agrochemical business in 10-years time. The purpose is not just a one-time investment but to need to establish a sustainable business. 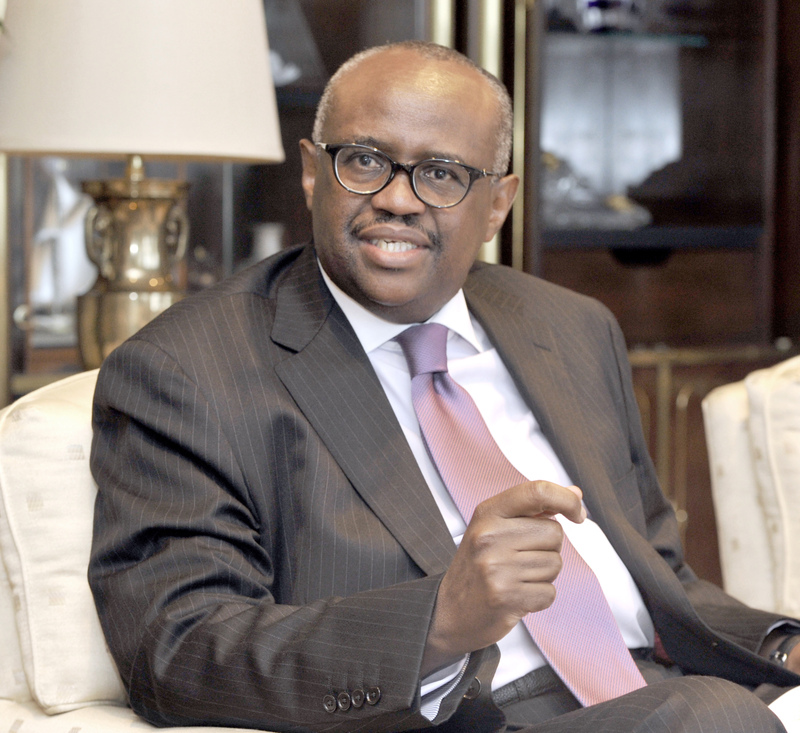 Solomon Karanja Maina, ambassador of Kenya: Born in 1960, Maina obtained his bachelor’s degree in political science at the University of Wisconsin and a master’s degree in international affairs at Ohio University. Since then, he has been a diplomat for his entire 29-year career. He began working as a third secretary for the Ministry of Foreign Affairs of Kenya in 1987 and has been assigned to embassies in Britain, Pakistan, Uganda and Italy before becoming the ambassador to Japan in 2014. 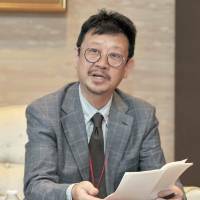 Seiji Okada, deputy director-general, African Affairs Department, Ministry of Foreign Affairs: Born in 1956, he entered the Ministry of Foreign Affairs after graduating from Meiji University Law School. 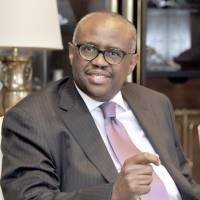 In 2007, he was assigned to the Middle Eastern and African Affairs Bureau, and in 2009 he was transferred to the Japanese Embassy in Kenya. He then moved to the Japanese Embassy in Afghanistan in 2010 and the Japanese Consulate General in Vancouver, Canada, in 2012. In March, he moved back to the Middle Eastern and African Affairs Bureau. 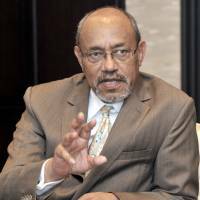 Estifanos Afeworki Haile, ambassador of Eritrea: Born in 1947 in Asmara, Eritrea, he studied science at Haile Selassie University, majoring in physics and minoring in chemistry and commercial pilot training in EAL (Ethiopia). Joined Eritrean Peoples Liberation Front (EPLF) in 1971 and served the movement in different capacities of leadership: political, economic, military and diplomatic. 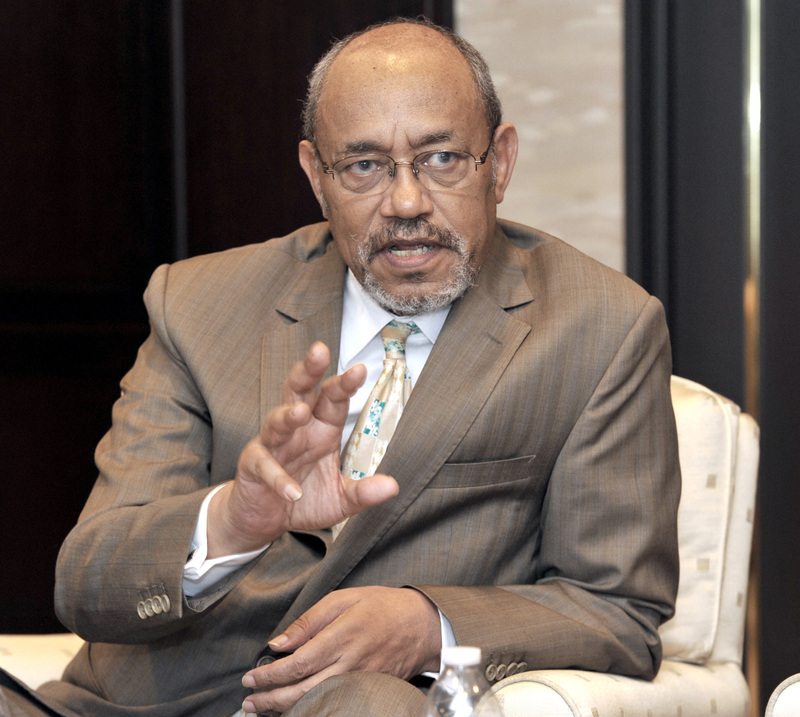 As a parliament member, he headed finance, trade and industry, civil aviation, communications and transport after Eritrean independence. Posted to Tokyo since 2003. 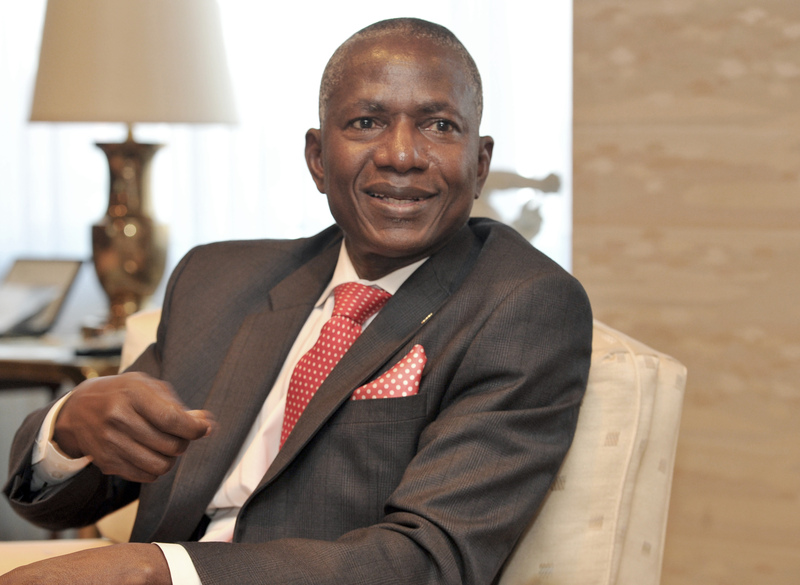 Francois Oubida, ambassador of Burkina Faso: Upon graduating from National School of Public Administration, obtaining a bachelor’s degree in 1982, he became the first secretary of the Embassy of Burkina Faso in Havana, Cuba, in 1984. 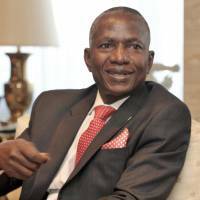 He then took various diplomatic positions, including minister counselor to the Permanent Mission of Burkina Faso to the United Nations. 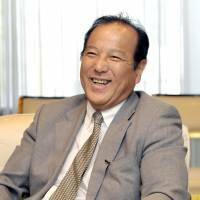 He assumed the current position as the ambassador of Burkina Faso to Japan, South Korea, Singapore and the Philippines in 2011. 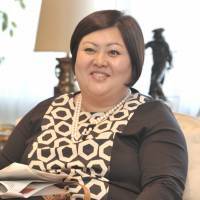 Jin Montesano, executive officer and senior managing director, Public Relations and Corporate Responsibility, LIXIL Group Corporation: Based in Tokyo, she oversees global corporate communications, brand management and corporate responsibility. 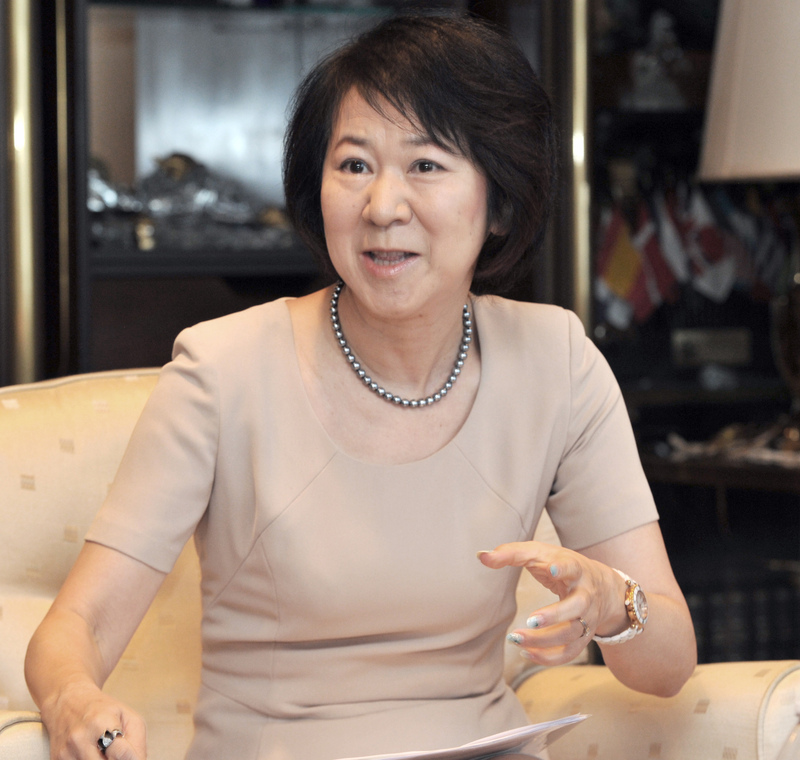 She is also a director of the Board of the Permasteelisa Group, a LIXIL Group subsidiary. She has over 18 years of experience in government and senior global corporate management. She holds a B.A. from Columbia University and an M.A. from Princeton University. 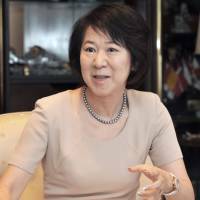 Atsuko Hirooka, executive officer, Health & Crop Sciences Sector, Environmental Health Division, Animal Nutrition Division, Sumitomo Chemical Co.: She joined Sumitomo Chemical in 2006 after working for a German capitalized chemical company. She has contributed to the Vector Control business since then, and has been in her current position since April. 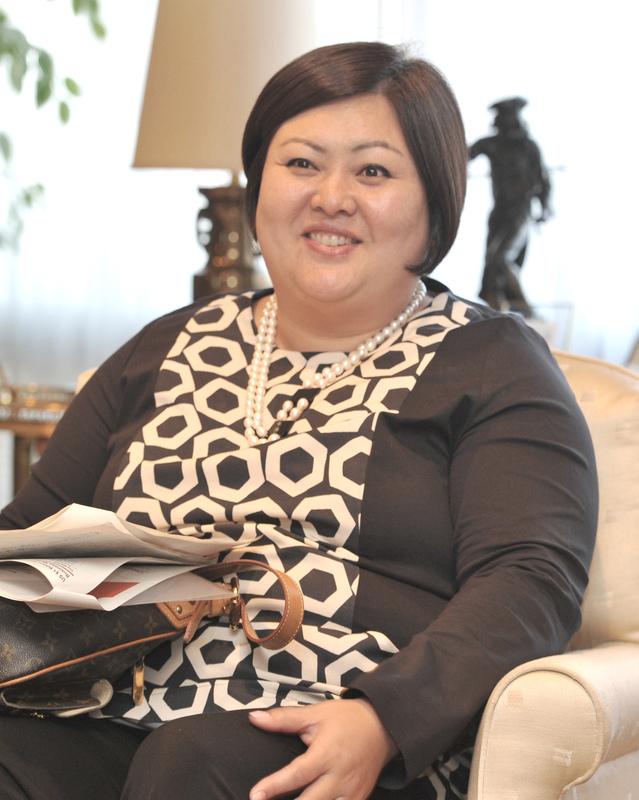 She has long been involved with Africa as she serves as a board member of Vector Health International Ltd. in Tanzania and a board member of Sumitomo Chemical East Africa Ltd.
Takashi Kitazume, chief editorial writer of The Japan Times: Born in 1962 in Tokyo, he joined The Japan Times in 1986 after graduating from the Tokyo University of Foreign Studies and was assigned to cover the electronics and auto industries, the Bank of Japan, the Defense Agency, which is now the Defense Ministry, the Ministry of Foreign Affairs and national politics. After serving as domestic news, foreign news editor and managing editor, he moved to his current position in 2013.